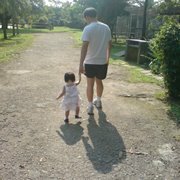 My Frozen Time: No more Singapore Montessori! I just called the principal of Singapore Montessori as today is the last day to confirm Ai Ai's placement for Sep'09. I explained to her that we would be moving to Bkt PJ area and asked for her advice if it would be wise to send Ai Ai to her school just for a term till Dec when we move. As expected, she advised against it as it would be very traumatic for Ai Ai to adjust to a new school from Sep-Dec'09, and then another new school in Bkt PJ in Jan'10. The principal was really nice and explained that since Ai Ai is such a sensitive child (told her about Ai Ai not liking Innate even before going in), we should keep her at home for this term in case she gets too attached to Singapore Montessori. I wasn't just paying the principal lip service, but Ai Ai really liked Singapore Montessori because she told me on the day of visit in Aug, that she liked the school and she would not cry, and on that day of the visit, none of the teachers nor principal even interacted with her! I told the principal that Ai Ai wasn't too impressed with Innate and Gracefields which we visited, and she gave some tips on how we can help Ai Ai like the school, in the event that we find one that is reasonably alright in terms of our criteria. She said we could get the teacher to give Ai Ai a pencil or some gift on the first day so Ai Ai will like the teacher and school. They usually will cry for the first week...even in Chiltern, Annette was crying when she could not find me! Somehow it works for most children, even giving small things like stickers helps. I think how the teacher helps the child to feel "blend in" is very important. B1 didn't cry when she attended her Montessori schools and her ad-hoc child care.I could see that the teachers did make active efforts to help her,giving her some individual attention on the first day. Actually Soph didn't cry in her first week at brightStart... she only cried during the second week... weird! Guess she was just too enthusiastic about going to school at that time. Yeah, the teacher is very impt. I think I may check out the Phoenix Walk MMI in more detail, cos I prefer the non-aircon environment... just that hubby was worried that the slates in the "garden" leading to the bungalow was quite broken, and afraid that if kids fall, they will cut themselves very badly. I went to Faith's Open House last Saturday. Hb and I didn't like the cramped and air-con environment, and have to climb stairs 3 storeys up. Your hb went into very details when he went for school hunting! MMI's bungalow is very old already,and they have been in operations for very long, so their facilities and materials won't be in tip-top condition as compared to the newer ones. I visited many pre-schools and childcare operating in private housing,including those at Hong San Walk near Palm Gardens.They are not as spacious as Phoenix Walk. If he thinks it may pose danger, no harm talking to the principal? Not sure it it's still Teacher Shanti now? She's is quite willing to listen to suggestions and feedbacks. Thanks for the feedback on Faith - I didn't check it out cos was too tired to go, plus they do not have schoolbus which is definitely out for me. Don't think I can carry an infant in my arms and bring Soph to take public bus even though it's so near Maysprings. Phoenix Walk has waitlist?! Hmm... think I should quickly check them and Presch by park out then decide. As of last week, Phoenix Walk's centre manager was overseas when hubby visited, so he couldn't gett o speak with anyone. Not sure if teacher is Shanti - will ask him tonight.